We are over the moon excited to announce that yet another one of the influences for us starting Saint Marie have joined the family. 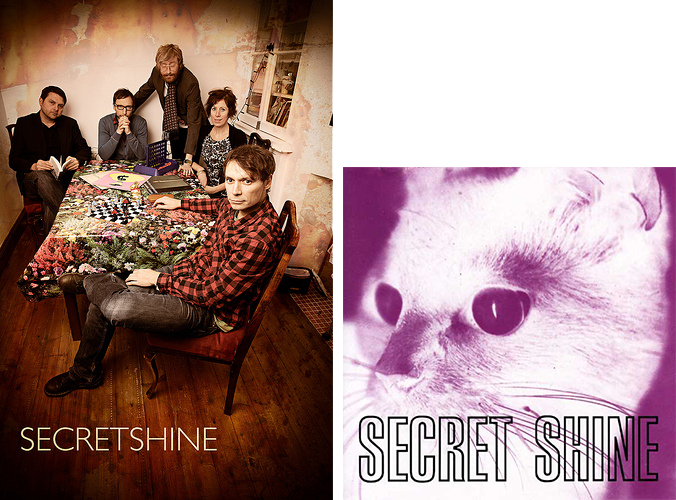 Please welcome Secret Shine! Look for a track on Static Waves 3, a REISSUE OF UNTOUCHED next year on vinyl and CD (with others soon to follow), as well as a new record early next year. Follow the band on Facebook! The group originally formed under the name Amelia's Dream. After sending a 3-song demo to Sarah Records, Scott Purnell and Jamie Gingell recorded their first single for the label, After Years. After recruiting three more members (Nick Dyte, Dean Purnell, and Paul Vowles) they recorded the Unbearable single for the A Turntable Friend label in Germany. The addition of Dean Tyler to the lineup resulted in the Ephemeral single on Sarah. Later, Jamie and Scott recorded some demos that became the Untouched album. In 1993 the album, along with the Loveblind single, was recorded and released. The addition of vocalist Kathryn Smith to the band added a new dimension, and this period saw them enter the Indie charts and become part of the burgeoning shoegazing scene. Just as things were starting to grow, Jamie and Scott felt it was necessary to go back to University for their final year, which slowed things down somewhat. After University, however, the band got back together and recorded the Greater than God EP, which they regard as their most accomplished work 1. After the recording of the Each to the Other flexidisc, Dean Tyler left the band, followed by Nick Dyte. Tim Morris joined, on drums, the rest of the lineup being Jamie (vocals and bass), Scott (guitars), Dean Purnell (guitars), and Kathryn (vocals). The single Wasted Away was recorded, released on Spoiler Records as Sarah had recently folded. After playing a gig in Oxford in early 1996, the band decided to call it a day, though they never officially split. In 2004, a retrospective collection called After Years was released by the Clairecords label, containing all their Sarah material (apart from the first single, and including the Untouched album). Though not the main reason for the band reforming, it was certainly a "catalyst" 2. To begin with, events were fluid. Scott left for a while, and, tragically, Tim Morris died. This made the band get back together again, and as a tribute to Tim they recorded the 8-song, acoustic Morris album. The band are still together. Their album All of The Stars was released 8 April 2008. And the album The Beginning and the End, featuring 12 new songs, was released 5 January 2011. Look for an all new full length record in early 2015 on Saint Marie Records.